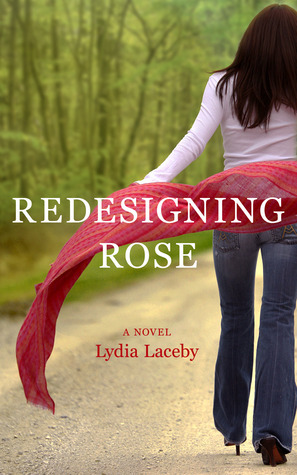 Synopsis: Kate Worthington knows her heart and she knows she will never marry. 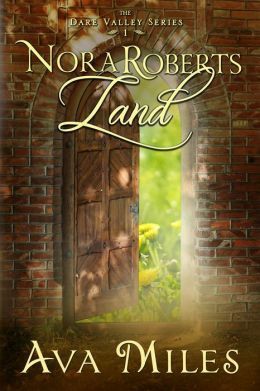 Her plan is to travel to India instead—if only to find peace for her restless spirit and to escape the family she abhors. But Kate’s meddlesome mother has other plans. She makes a bargain with Kate: India, yes, but only after Kate has secured—and rejected—three marriage proposals. My take: If a novel with enjoyable main characters, an atmospheric Regency-era setting, and a bit of a twisty plot sounds good to you, you’ll want to read Blackmoore. Blackmoore is Henry Delafield’s family summer home by the sea. Kate Worthington grew up hearing about the place from her friends Henry and his sister Sylvia. Each summer they would return with stories for their friend and neighbor Kate. She longed to one day visit this wonderful place. The large house was more a character than a setting. There are dark halls, drafty rooms, secret passageways, rumors of ghosts in the night – you get the drift. A Blackmoore house party will eventually determine the futures of Henry and Kate. I loved the main characters. They were so honorable and their story so heart-wrenching. Kate was easy to cheer for from the start. And Henry? It was difficult not to fall in love with Henry. They are faced with meeting family expectations or following their hearts. When Kate accepts a challenge from her mother it eventually forces them to reveal secrets to each other that could end any hope of a future together. You’ll have to read the book to learn more! 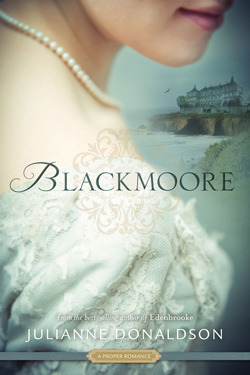 Blackmoore is a G-rated Regency Romance and I recommend it to fans of the genre. 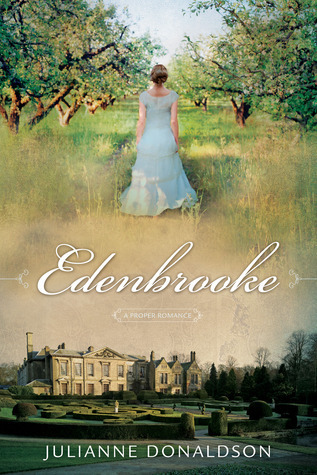 Note: I enjoyed Julianne Donaldson’s writing so much that midway through this novel I purchased her first novel, Edenbrooke (which is $1.99 for both Kindle and nook in September). 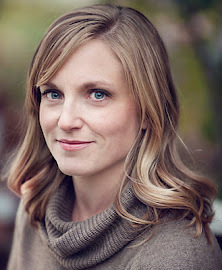 You can connect with Julianne Donaldson at her Facebook page. Synopsis: Charlotte and Nicole were once the best of friends, spending summers together in Nicole’s coastal island house off of Maine. But many years, and many secrets, have kept the women apart. A successful travel writer, single Charlotte lives on the road, while Nicole, a food blogger, keeps house in Philadelphia with her surgeon-husband, Julian. When Nicole is commissioned to write a book about island food, she invites her old friend Charlotte back to Quinnipeague, for a final summer, to help. Outgoing and passionate, Charlotte has a gift for talking to people and making friends, and Nicole could use her expertise for interviews with locals. Missing a genuine connection, Charlotte agrees. 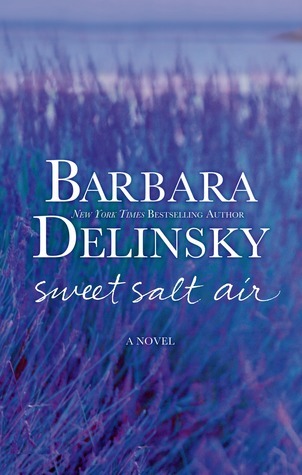 My take: Sweet Salt Air is the first of Barbara Delinsky’s books I’ve had the pleasure of reading. I’m glad to see she has written several other novels because I want to read more! What attracted me to this book first was the setting: summer on an island off the coast of Maine. Doesn’t that sound inviting? The author delves into medical issues – one of the characters has MS – and the possibilities of stem cell transplantation as a cure. I found it quite interesting and appreciated all the research that went into that aspect of the novel. Serious medical issues aside, I think Sweet Salt Grass would be the perfect vacation read. 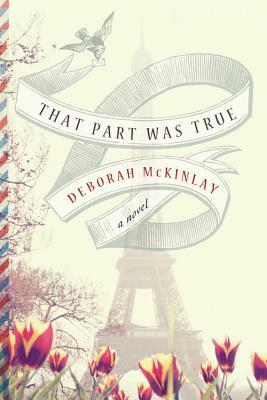 I enjoyed it and look forward to reading more from Barbara Delinsky. We first meet Sarah as a child just beginning to understand her captivity at the young age of six. Sarah is the daughter of Cornelius Allen, the slave master, and his house slave, Emmeline. When Master Allen gives his daughter Clarissa’s hand in marriage, he presents her with a wedding gift: Sarah, the young slave she grew up with who also happens to be her sister. When Clarissa’s new husband suspects that their newborn son is illegitimate, Clarissa and Sarah are sent back to her parents in shame, setting in motion a series of events that will destroy this once powerful family. Told through alternating viewpoints of Sarah and Theodora Allen, Cornelius’ wife, THE WEDDING GIFT is a stunning novel that demonstrates the bonds of slavery do not end with slaves. It is historical fiction at its best and no one is better equipped to share this story than Marlen Suyapa Bodden whose knowledge of modern and historical slavery, human trafficking, and human rights abuses translates to an intimate portrait of America, then and now. 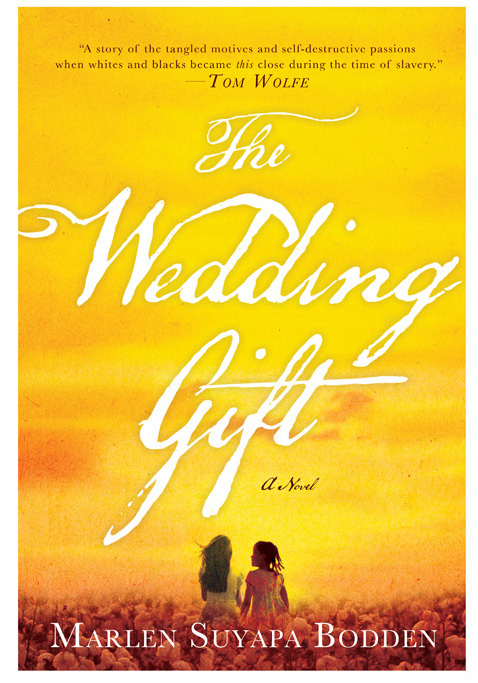 THE WEDDING GIFT will resonate with readers of The Help and The Secret Life of Bees, where complicated bonds and compelling female relationships are explored. Dr. Marlen Suyapa Bodden is a lawyer at The Legal Aid Society in New York City, the nation’s oldest and largest legal services organization. She has more than two decades’ experience representing poor people and low-wage and immigrant workers, many of whom are severely underpaid, if paid at all. She drew on her knowledge of modern and historical slavery, human trafficking, and human rights abuses to write The Wedding Gift, her first novel. On May 20, 2012, the University of Rhode Island conferred on Marlen an honorary Doctor of Laws degree. Marlen is a graduate of New York University School of Law and Tufts University. 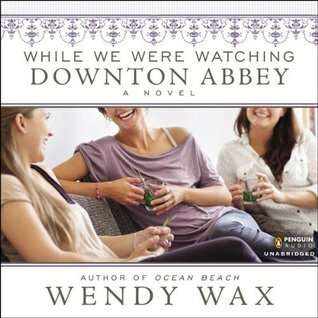 My take: Wendy Wax had me at Downton Abbey 🙂 HOWEVER, you don’t need to have watched the series to enjoy this novel. When the British concierge of the Alexander, an upscale Atlanta apartment building, alerts residents of weekly screenings of Downton Abbey in one of the common rooms no one is sure what to expect. Certainly unexpected is the resulting friendship of three women who’d not met until the first screening. Samantha is a wealthy woman in her forties who seems to live an easy life. She’s very good at putting on a good face for all who know her but below the surface there’s family drama and turmoil. Brooke is a divorced mom of two young daughters. After working hard to put her ex-husband through medical school and setting up his office he decided he didn’t want to be married to her anymore. Now his girlfriend is pregnant and wearing a huge diamond ring. 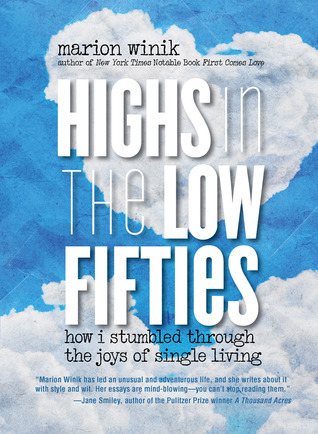 Clare, an author, is a divorced empty-nester. With her daughter away at college Clare has given herself a year to concentrate on her writing – no day job. Trouble is, she has writer’s block. Edward, the concierge, is a warm and intuitive man who does his best to make sure the residents enjoy the weekly screenings. He also befriends the three women. Edward has a bit of a story himself but would never divulge it to anyone in the building. When the unthinkable happens their friendship is put to the test. As usual, Wendy Wax’s story completely entertained me. Orlagh Cassidy did a good job voicing each character. I really liked her performance. She kept me walking or knitting – always signs of a good audiobook. If you like women’s fiction I think you’ll enjoy While We Were Watching Downton Abbey. 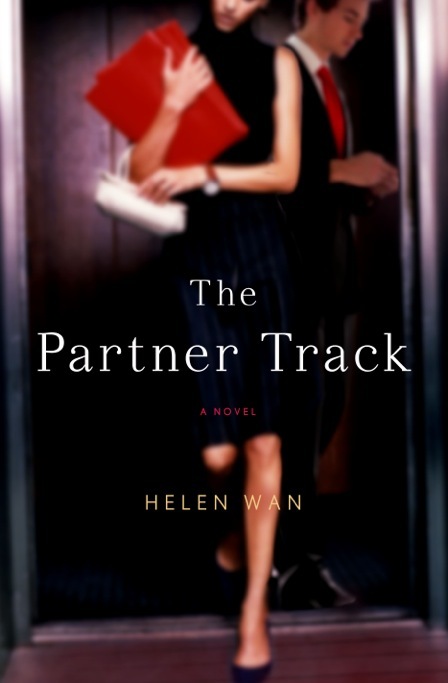 Synopsis: In the eyes of her corporate law firm, Ingrid Yung is a “two-fer.” As a Chinese-American woman about to be ushered into the elite rank of partner, she’s the face of Parsons Valentine & Hunt LLP’s recruiting brochures–their treasured “Golden Girl.” But behind the firm’s welcoming façade lies the scotch-sipping, cigar-smoking old-boy network that shuts out lawyers like Ingrid. To compensate, Ingrid gamely plays in the softball league, schmoozes in the corporate cafeteria, and puts in the billable hours—until a horrifically offensive performance at the law firm’s annual summer outing throws the carefully constructed image way out of equilibrium. Scrambling to do damage control, Parsons Valentine announces a new “Diversity Initiative” and commands a reluctant Ingrid to spearhead the effort, taking her priority away from the enormous deal that was to be the final step in securing partnership. 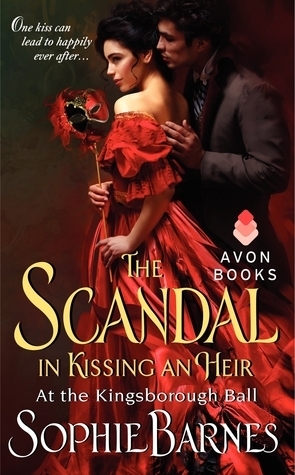 For the first time, Ingrid finds herself at odds with her colleagues—including her handsome, golden-boy boyfriend—in a clash of class, race, and sexual politics. 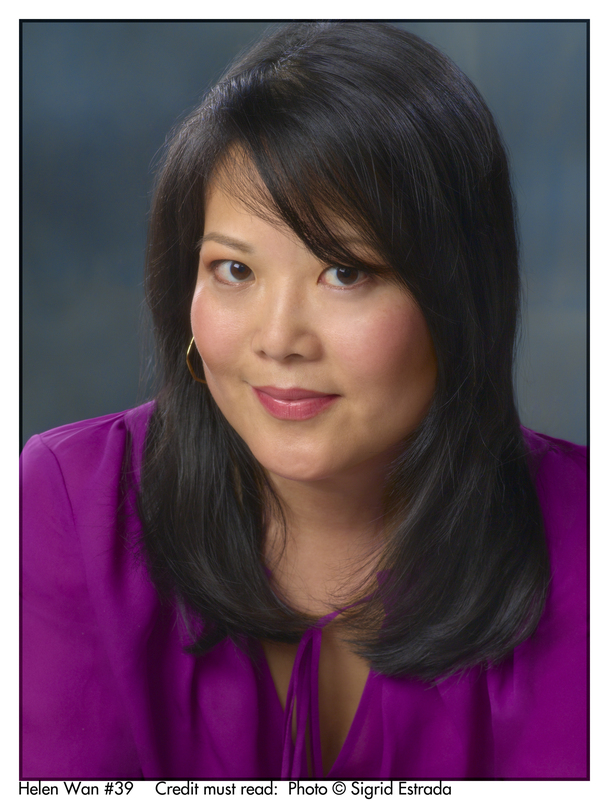 HELEN WAN is Associate General Counsel at the Time Inc. division of Time Warner Inc. Before that, she practiced corporate and media law at law firms in New York. 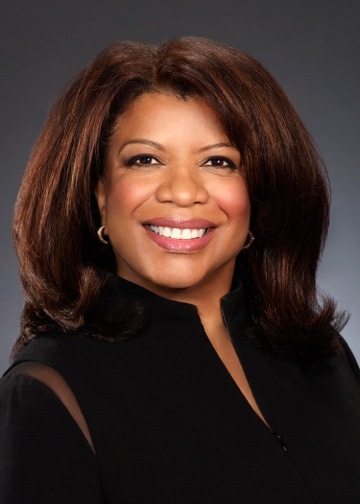 Born in California and raised near Washington, D.C., Wan is a graduate of Amherst College and the University of Virginia School of Law. Her essays and reviews of fiction have been published in The Washington Post and elsewhere. She lives in Fort Greene, Brooklyn, with her husband and son.